Sometime in the past month I was in London Drugs and I wandered over to the NYX area and got sucked in by their display. 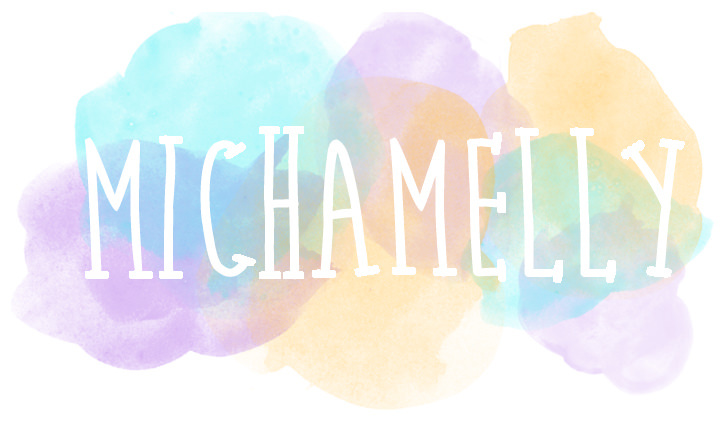 I ended up purchasing this illuminator in the colour Chaotic. 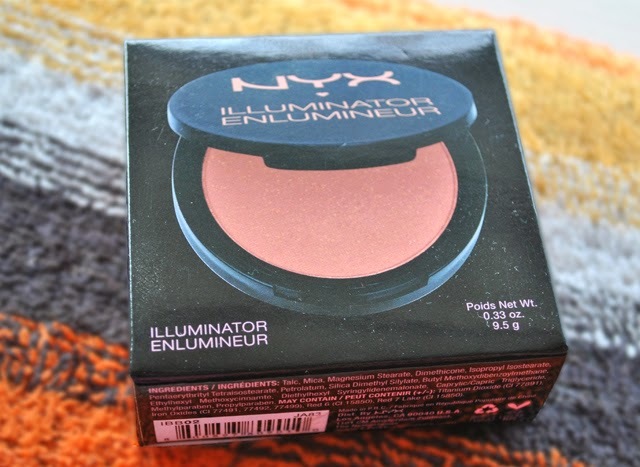 There were two other illuminators in the line both more of a white/champagne tone and I wanted to get this one because I thought I would be able to use it as both a blush and highlight. It is a really beautiful pinky peach tone with golden shimmer throughout it. I would say it has medium pigmentation so you don't have to be super careful when applying it. 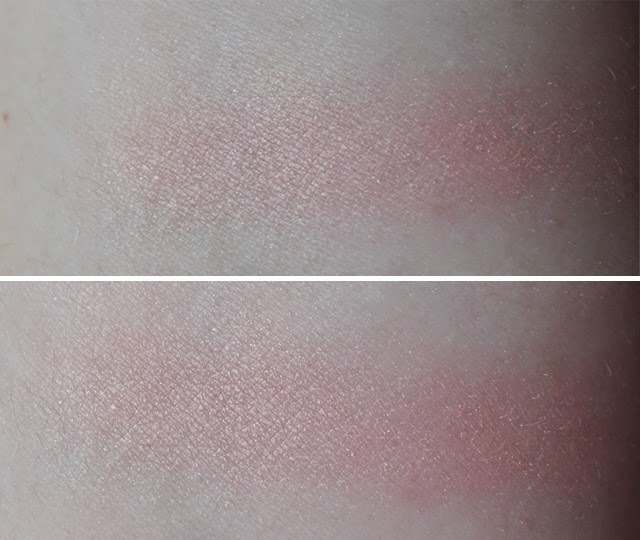 The above swatches are in more straight on light (top) where you can see more of the golden shimmer that is throughout the product and the bottom swatch is in less light where the pink tones of the product come through more. 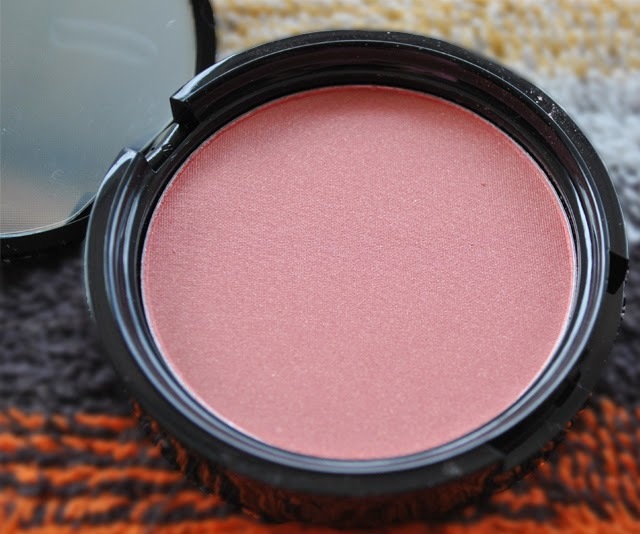 I used this as a blush and it definitely had a lot of shimmer but nothing that was too overwhelming, however if you aren't someone who likes a lot of shimmer in a blush then definitely restrict this to use as a highlighter. It stayed on throughout my entire day and overall I think its a nice product. It retails for $10.99 CAD which is a good price - right now they are on sale at London Drugs though for $6.99 CAD so if you want to go pick one up now's the time.